Man Son 1969 - The Horror of the Situation, Hamburger Kunsthalle in Hamburg, Germany. Joe Coleman: Internal Digging, The largest solo exhibition to date 4 floors at the KW Institute for Contemporary Art, Berlin, Germany. Joe Coleman: 14 Paintings, Palais de Tokyo, Paris, France. Subject, Real Art Ways Hartford, CT.
Joe Coleman: 30 Paintings and a Selection from the Odditorium, Jack Tilton Gallery, New York City. War and Peace, American Visionary Art Museum, Baltimore. 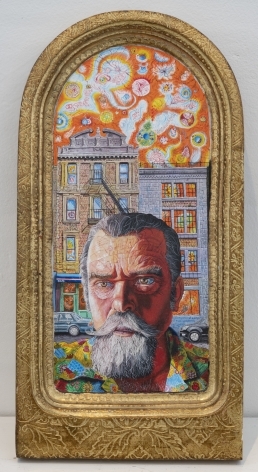 Recent Paintings, The Odditorium, Presented by Jim Corcoran at Ernie Wolf Gallery, Los Angeles. Joe Coleman: Matrix 139, Solo exhibition at The Wadsworth Athenaeum in Hartford, CT.
Joe Coleman, Ann Nathan Gallery, Chicago, IL. 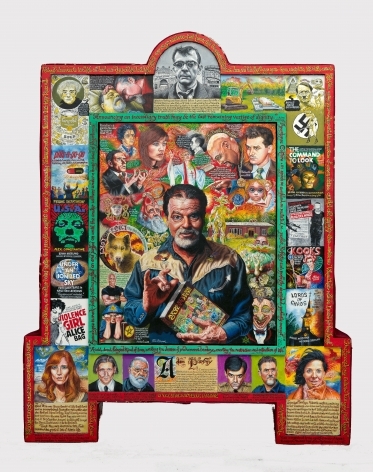 R.I.P: Rest in Pieces, a documentary film about Coleman by Robert Pejo (Prisma Films) premieres at the Rotterdam Film Festival, The Netherlands. The End is Near! 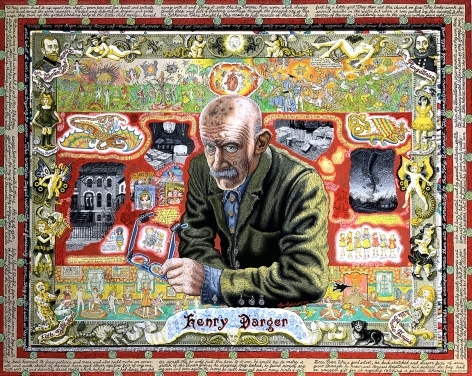 American Visionary Art Museum, Baltimore, MD. Cult Rapture Center on Contemporary Art, Seattle, WA. Disinformation: The Complete Series (2 Disc DVD set originally aired on BBC. Uncle Ted’s Ghoul Show (Pennsylvania Cable TV show. Joe cameos as a “monster robot” and “Rondo the Self-decapitating Wonder”. Joe performs with his band The Steel Tips.